Now that's very counter-intuitive to me that on a perfectly symmetric looking object, that the lightening relief would be positioned off the line of symmetry. Any explanation as to why, Fred? Also, I find it interesting that you've modeled a balancing apparatus. Wouldn't it be just as easy to assume the piece is sitting there in space and rotating by some strictly defined (assumed unmoveable) axis? I suppose with your method, you could model flexibility and oscillations of the testing jig, but I'm not sure why that would be useful, unless you were doing real-world testing on the same exact jig and wanted to somehow model very similar predicted results. At some point, the model needs to assume things are fixed. Would this simulation assume the base feet of the testing jig are fixed? 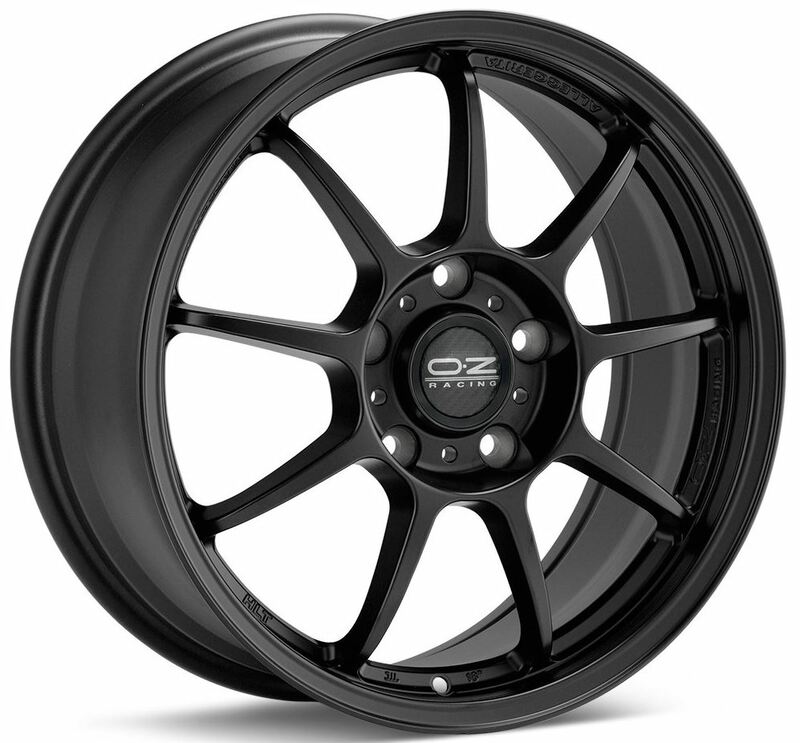 I remember getting some unversity mechanical engineering grad student to help do some FEA simulation work on designing a lightened version of wheel centers for an autocross race car I was running. This was at least 10 years ago, so the tools were a bit more rudimentary to what you seem to have access to. I don't remember using using any solvers, but rather, just manually iterated the design a few times until we were happy. The machined weight of those wheel center came out just as predicted! Very cool and memorable experience for me. So thanks for sharing your fascinating techniques. The jig’s base is indeed ‘fixed’ with 9806.65mm/sec2 gravity acting on it – not floating bud. The shaft/bushings also needs mu-static, dynamic and stiction velocity/deformation (aka friction) properly defined and enabled otherwise nothing works…. the shaft will bounce passed the 500rpm. Real-life no, I agree, but certainly real-world multiphysics (well, this world anyway). RE Center caps, they are ‘visually’ symmetric yes but as you saw in the vid, the center (p badge) is not 100% aligned with the center of mass (taking gravity into account here). 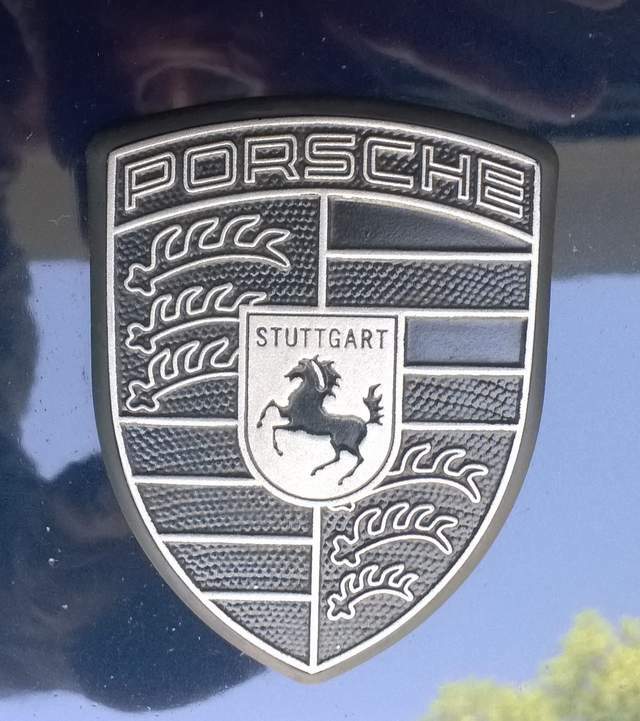 That is due to the non-symetric feature/pocket for the badge. Anyhow, it is very unlikely that a perfectly symmetric center cap (center of rot) are going to throw your wheel out of wack however best practices force me to ensure that the design is meeting ‘base line’ quality. I am sure that potential buyer will appreciate this. Soon off to the manufacturing finally. I've already ordered the material so I should be getting this hopefully latest tomorrow afternoon. Once I have the size of the stock material I'll trow all of this in the CAM processing. The Red are too fast, you'll need titanium lug bolts. Right... so this is what we're going to do. I've just received the material that I've ordered y'day an hour ago (yey!). 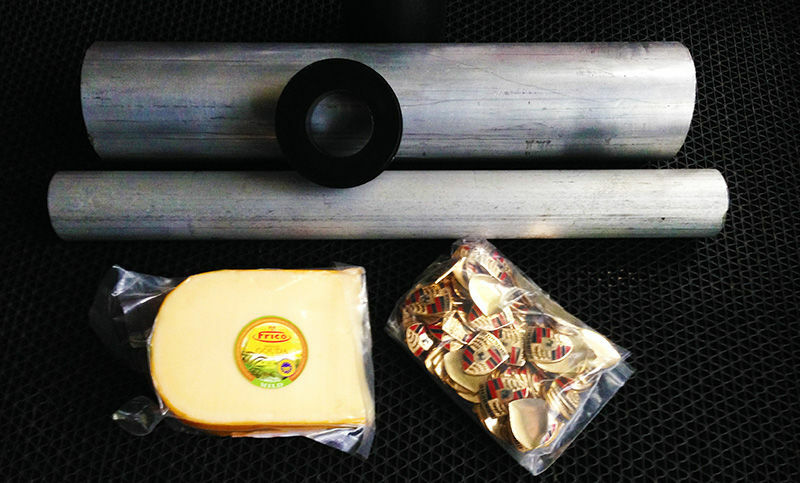 So we got a few pucks of Acetal, plenty of AL6061 (I think loll) and also found the few badges I had left in stock. I'll run this quick and dirty in the R&D machines first, get a sample part anodized and assembled in-hands, and if all goes well (i.e. looks good, feel good, and fit/clamp well) I'll do the cam online with you guys for the shop floor's production machines (you'll see my little shopl). 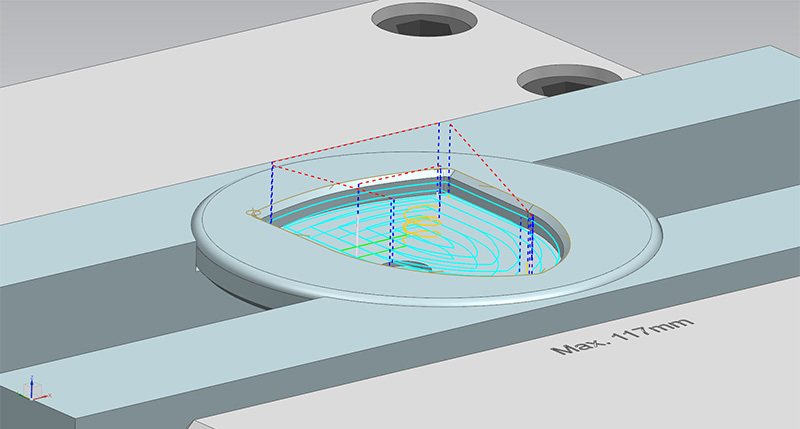 No point launching full-scale into making custom fixtures, softjaws, and all the other 'expansive' stuff required to get a small production run going. 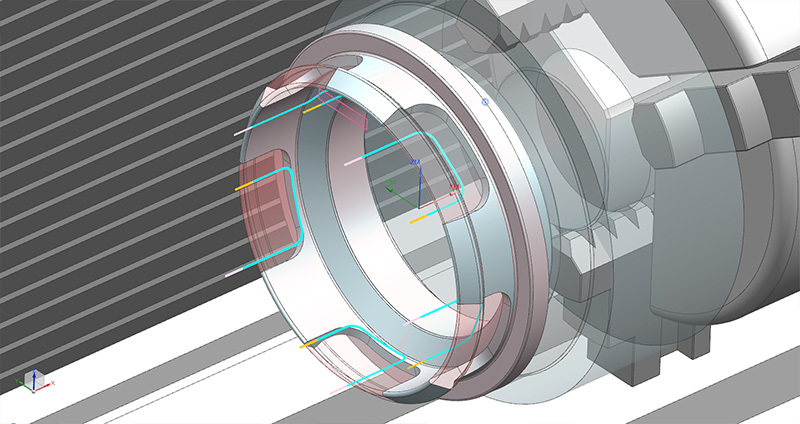 Besides the CAM work for those prod machines needs proven simulation before even starting-up and cutting anything. You'll get to see this as well but before - let's see this super duper center cap first. Some grabs below of the 'quick & dirty' CAM work I've done yesterday evening. All I need left to do is adjusting the stock size in each part models and off we go - let's do a quick one (or two, we'll see how it goes). Estimate 1.5 ~ 2 days work. 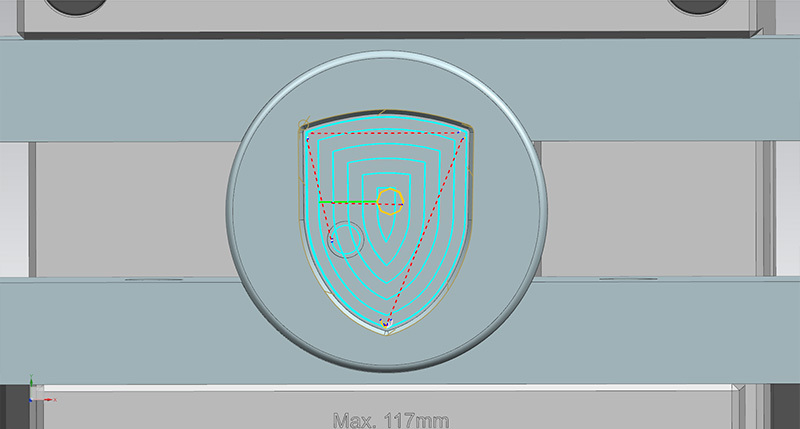 Toolpaths and toolpaths only toolpaths. Finally we can cut something. 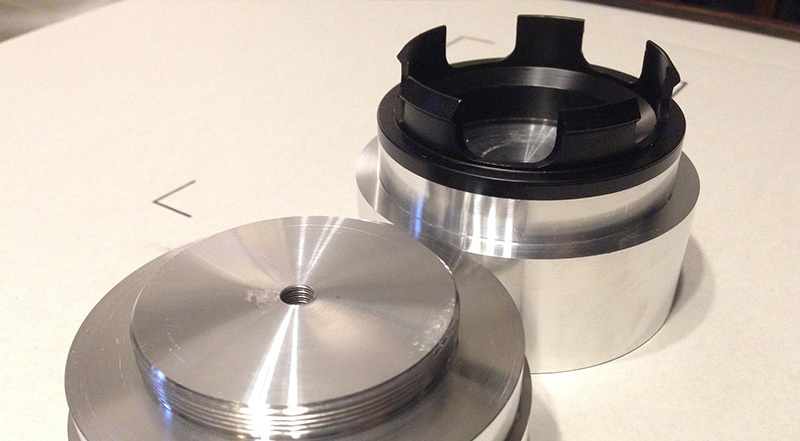 How do you hold the part on your milling machine then you turn it over to mill the back? 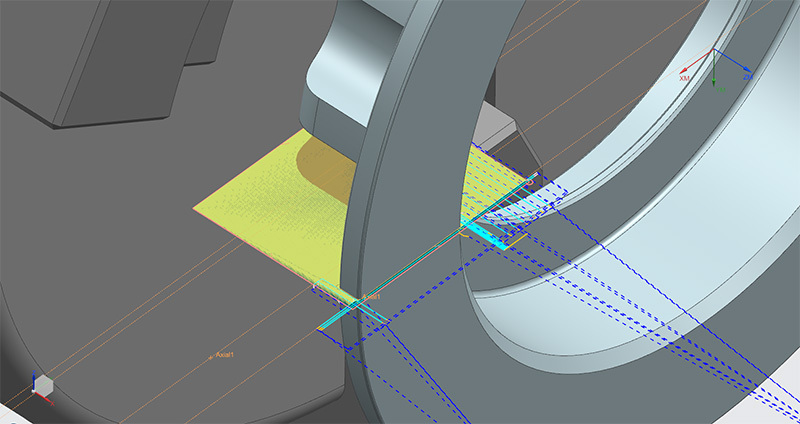 Toolpath Pic 4: Milling/4axis, Multiaxis toolpath going around the clips. Just needed to machine one fixture; the one you see (quick&dirty) holding onto the cap thread and clamped between the vice jaws in Pic 3. 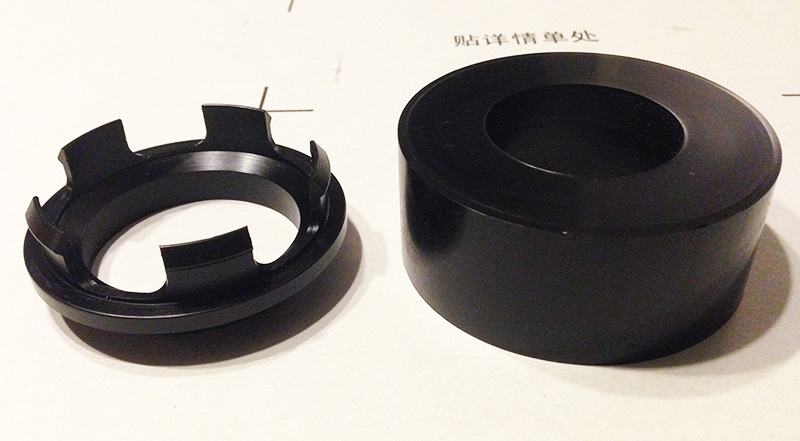 Missing are pics of the Acetal turning operations for the adapter. Using the exact same procedures as Pic 1,2,3. Just need to see this cap first We'll do this correctly onto the prod machines later (coming week let's hope). 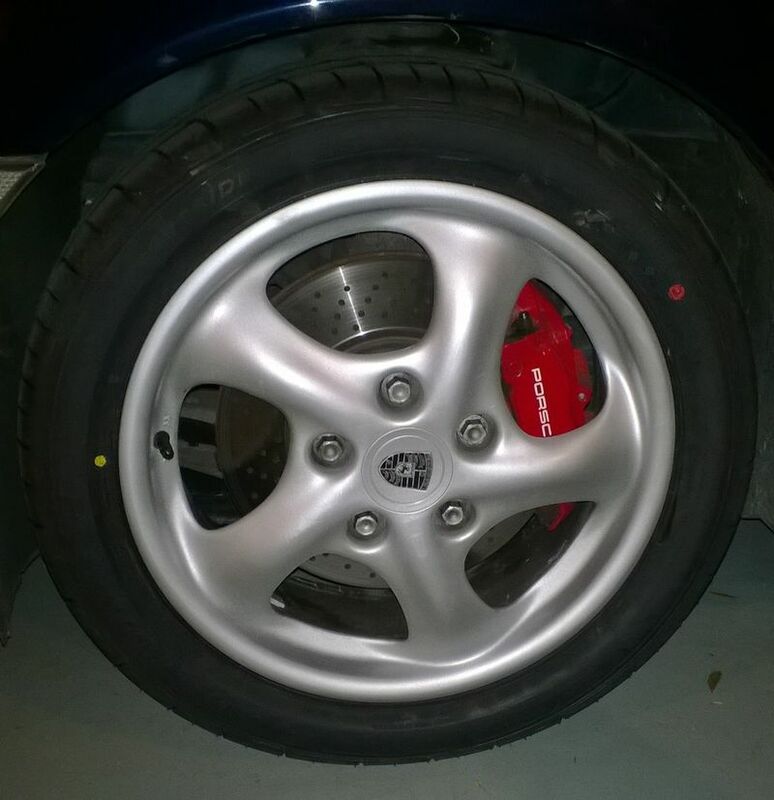 Porsche wheel hub adapter - SUCCESS! Some pretty good progress to share with you guys! Besides the amazingly sunny and warm weather of today, I am very (very) happy about the result of this part. This goes to show how important proof of concept and part validation work are. 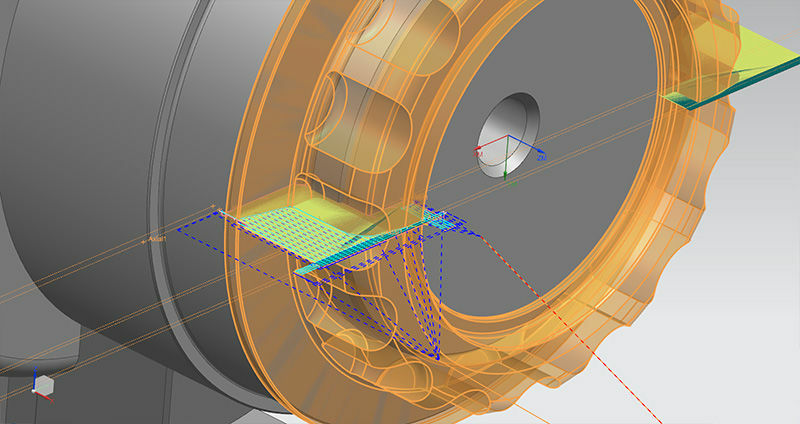 Without CAE it wouldn’t have been half-possible to make this part successfully at first attempt. I would have had to blindly machine 5~10 different parts with different thickness, hoping it doesn’t fail, and worst… hoping for it to be clamping properly. Think about the time it would have taken without CAE lolll e.g. Model mods X10, CAM mods X10 and machining a prototype part X10 (ouch). CAE add-ons are not cheap but do save a considerable amount of time/pain and most importantly; “add peace of mind”. 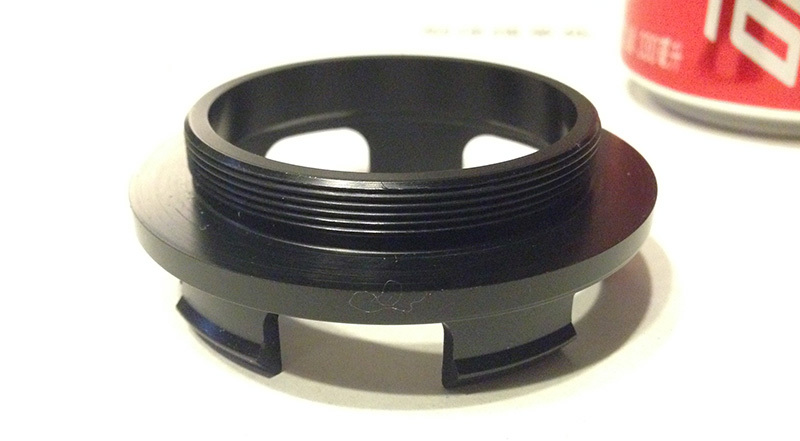 We are now 100% certain this part will not fail when repeatedly inserted into the wheel hub, it will hold well and tight, and perform in temperatures ranging between -50 up to +50 Celsius. 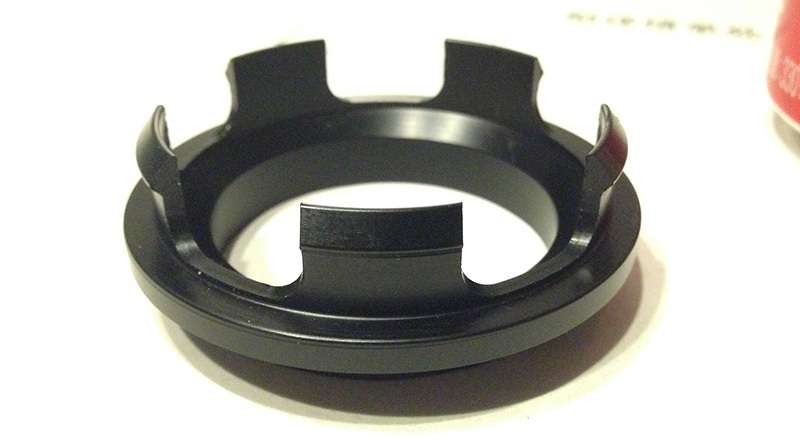 ^ Some may find it interesting to see what was once a raw stock of Acetal, converted into a fully functional car part! ^ Same part, upside down, showing the 5 clips. ^ View from inside a Porsche wheel (sorry for the messy pic!). The clamping is phenomenally accurate and amazingly strong. It does snap nasty in there and its goes in with a loud and clear “SNAP” noise. 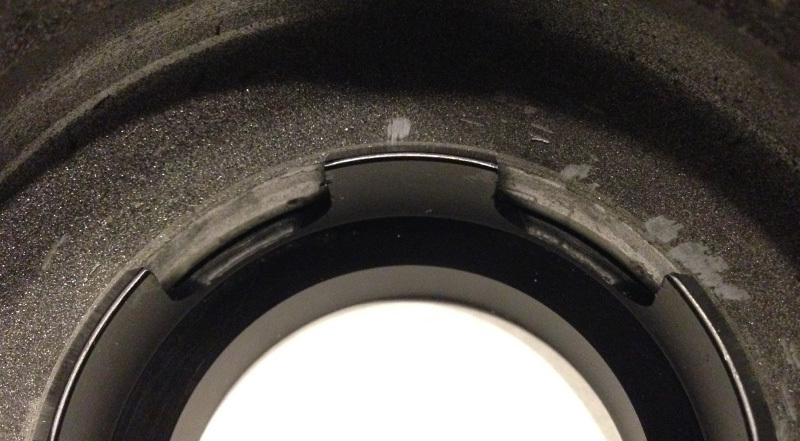 Absolutely love Acetal. Nothing better (dare to challenge me here). 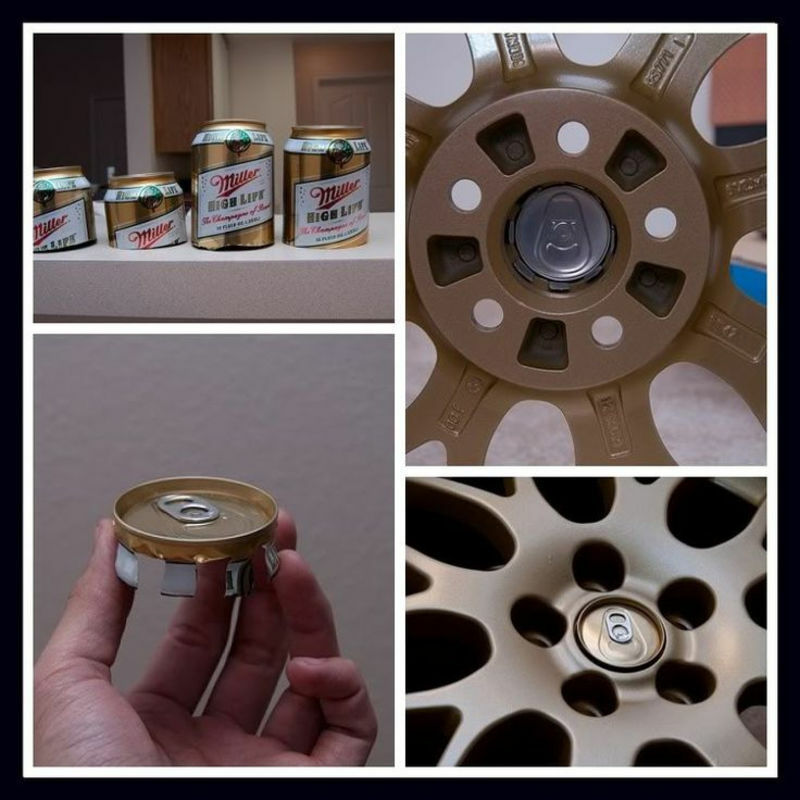 The bad news: the wheel will need to be removed off the car if you plan on removing your center cap. It just won't come out without a good push from behind the hub. Call it "Anti-Thief System"
^ Quickly snapped in my old Twisties wheel hub. Again, flawless. 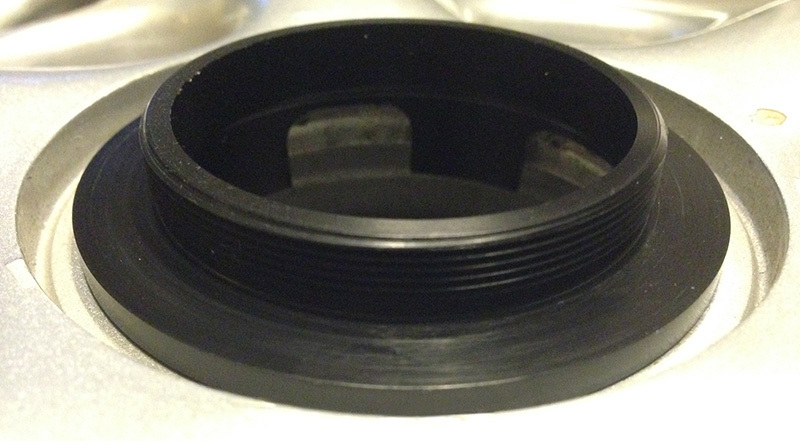 Sits flat and pressed onto the edge of the hub by-pressure as intended and not moving in any direction. 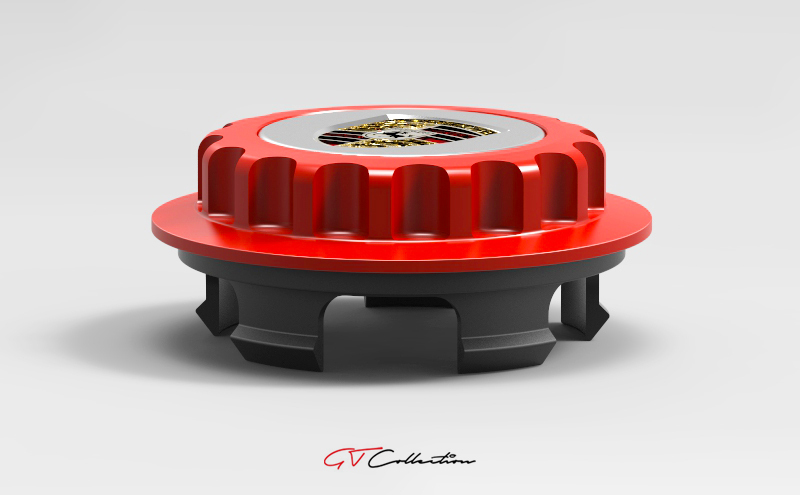 Unlike the CGT style cap, this Acetal adapter concept will ensure that when you install your center cap, you'll be dead sure it is concentric to the hub and not offset. Something that was hard to acheive, but not impossible, with the previous CGT style design. ^ Here goes the two fixtures I ended up having to machine to hold the workpiece for the various CAM operations involved. 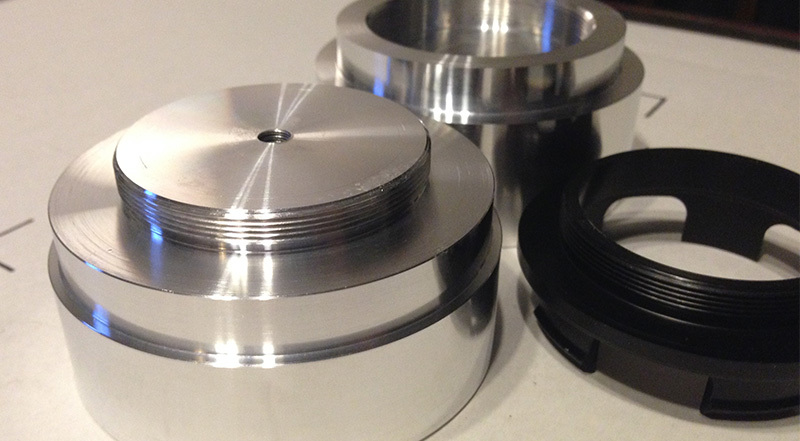 The first fixture (nearest) will in use later this evening to machine the main aluminum cap. ^ Same fixtures. 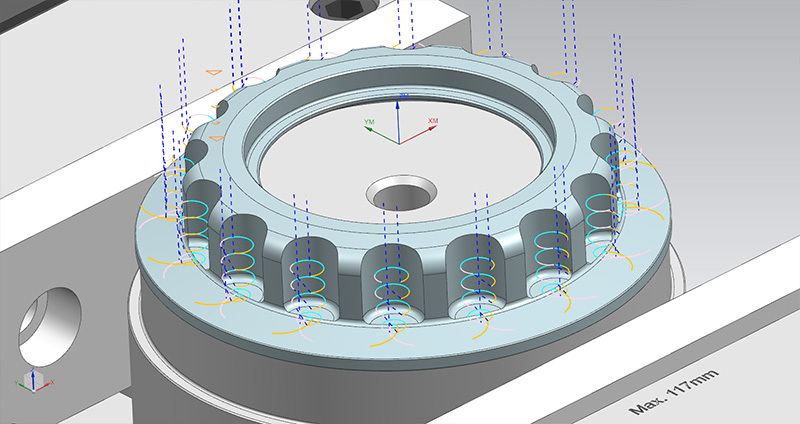 This one showing how I mount the hub adapter so I can machine/turn the OD profile and also this is how it mounts into the 4th axis rotary to mill the clip using the multiaxis toolpaths you’ve seen in the toolpath pic4 (previous post). Last edited by Nine8Six; 01-26-2017 at 04:45 AM. The last fixture I'll have to do later this evening (finally). Shows how I'll clamp the disk shape center between my vice jaws (they are in fact softjaws, made out of aluminum). You can see the CAM toolpath work on those for the milling operations. If all goes well I'll be able to start anodizing this tomorrow late afternoon (shoulder hurt like crap though :/). We'll see, might have a fully functional prototype to play with this weekend! This is absolutely brilliant! I need a price and colour options immediately! RE colors, have a quick look at post#1. Expect the same line... gun metal, blue, red, black(my fav! ), etc. Not sure I'll do the orange ever again as this never really turns out good anyway. LOVE YOUR SKILLS !!!! Keep up the good work . As soon as you can come up with your color offerings get them on here so people can start thinking about what to order . Last edited by Nine8Six; 01-26-2017 at 01:59 PM. In fear to destroy this masterpiece's reputation, I'll wait for tomorrow's day light to take much better pictures. 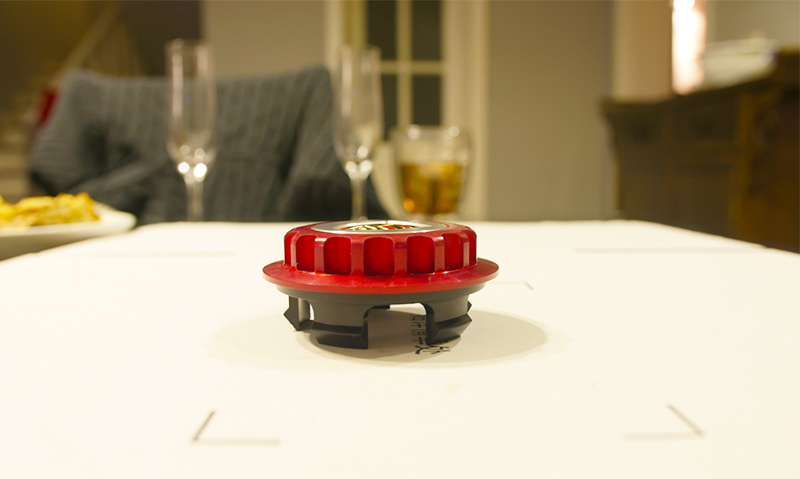 No idea how to set a DSLR camera for a dark evening dinner table shot and photoshop just can't fix a drama like that. Oh, I've anodized a blue one also. Both look absolutely majestic.... wait and see! My current wheel crests (made by stripping an old set of metal colored crests, then painting silver, then a very light covering of black that I then sanded off to reveal the silver underneath.